Okay. It’s been a long time since I’ve updated crafty stuff. In my defense, there have been other things in life taking priority for me lately. If you’ve been keeping up here, you know I’ve written a few posts about T1D. Trying to advocate for change, and also trying to educate a few of the masses. But, this is a crafty post, so let me get to that. For my local SC people, I am actually putting myself out there and going to a market on July 9th. It’s the first time I’ve done this, so I’m a little nervous, but there is a first time for everything, right? I’ve been posting about it on my Etsy Facebook page, and have been teasing about pictures for a week or so, and since I am keeping up with school well at the moment, I took some time to snap some pictures. First, something that will not be for sale, this was a project I made for myself. There was a problem at first, I teased you all with a WIP picture a couple months ago. Well, I was about halfway through the first panel when I realized that my gauge was WAY off. Not just a little off, but it was about half the size it was supposed to be. So, I ripped it all apart, made gauge swatches until five (yes FIVE) hook sizes later, it was there. 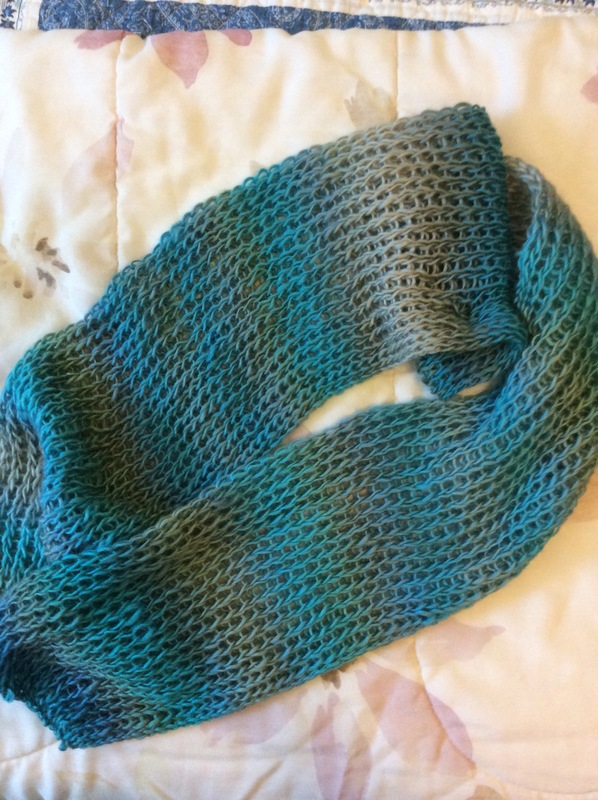 But, in the end, this wrap turned out lovely, truly. 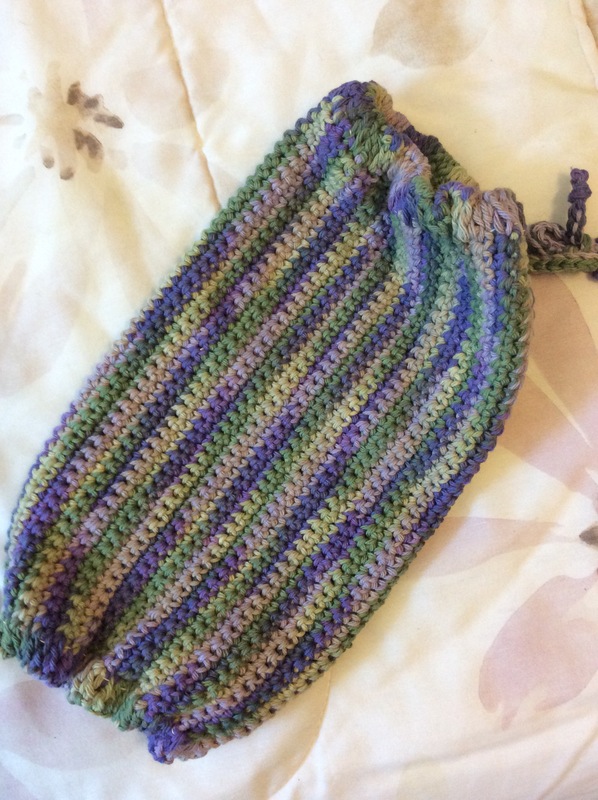 I learned several things with it, including how complicated it can be to carry yarn up the side and how tangled it can get. Scarves. 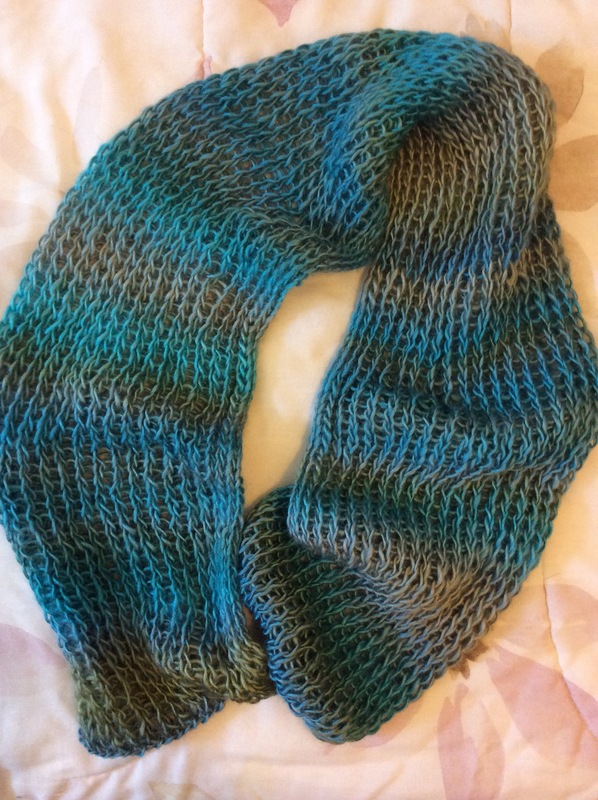 Double knit on a loom in a lovely light weight yarn that stripes beautifully. 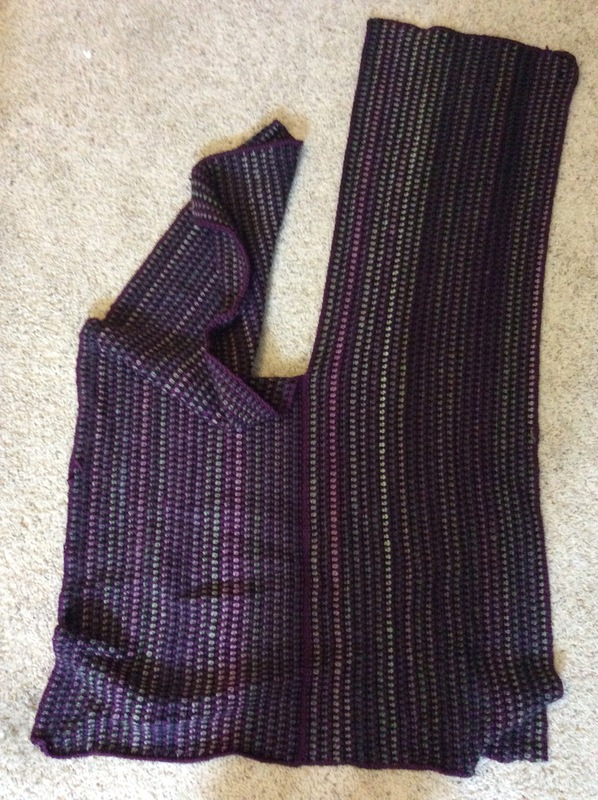 Another scarf, also loom knit, I found in a bag, presumably that I was going to list on Etsy that I never got around to. Two grocery bag holders, a fun project I learned, they have elastic on both ends, and a tie at the top to hang. 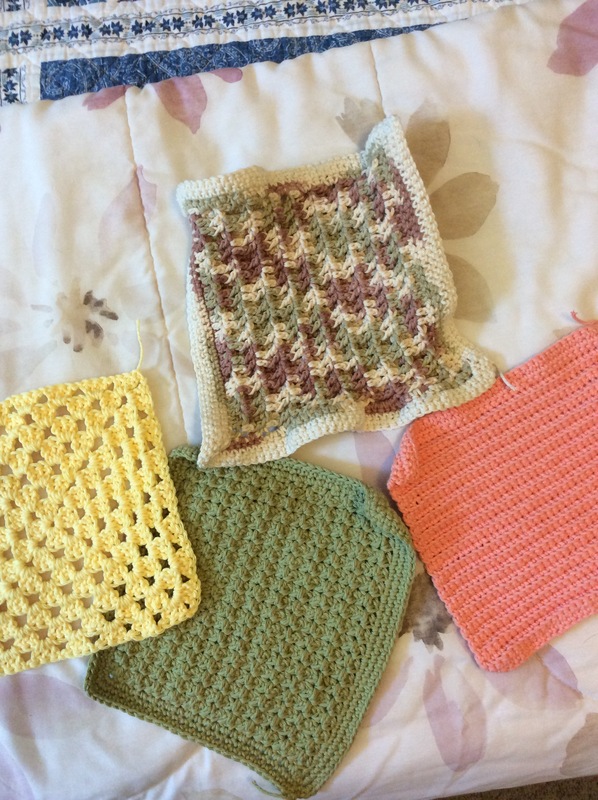 Lastly, different styles of dishcloths. 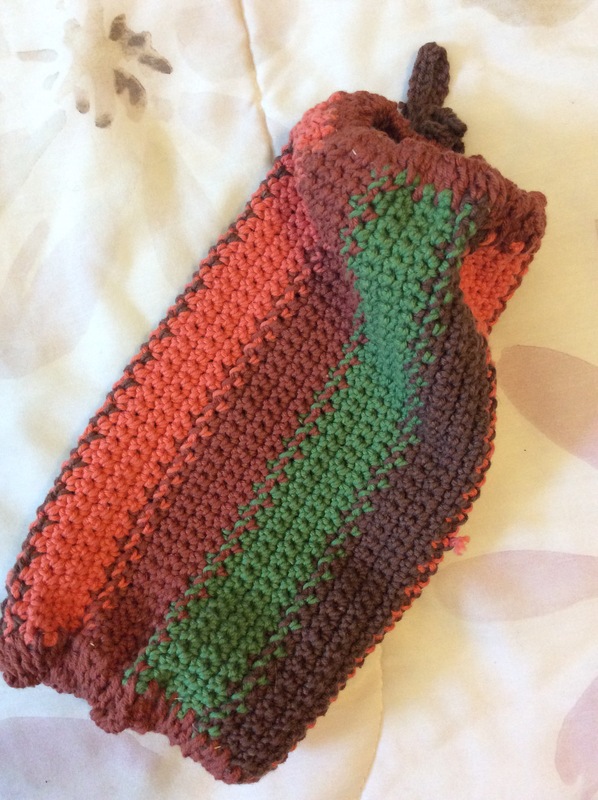 This is the main focus the past week or so, they are fairly quick and easy to make, and are made in cotton yarn. My favorite pattern is the top middle, it is a waffle stitch that feels very nubby so it will be good for scrubbing. Still more to do, and finishing touches to do (yes I have ends that need to be run under) but all in all I’m having fun prepping for this market. 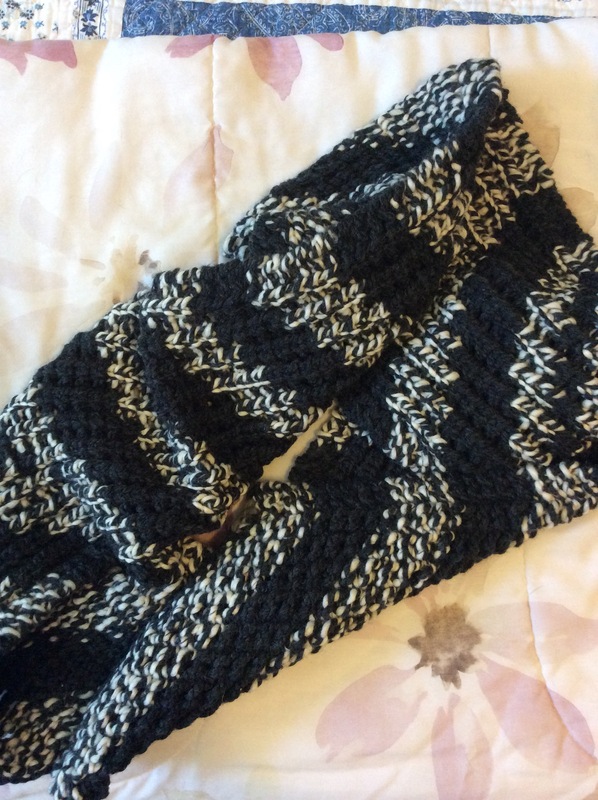 This entry was posted on Wednesday, June 29th, 2016 at 9:46 AM	and tagged with crochet, loom knit, market, projects, update and posted in Crafty Stuff. You can follow any responses to this entry through the RSS 2.0 feed.